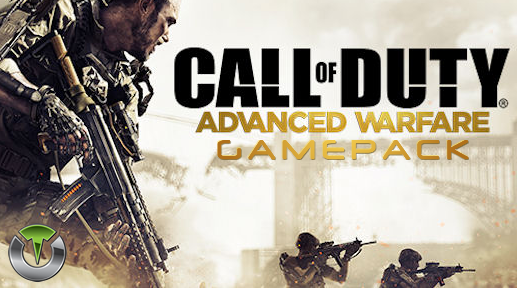 Call of Duty Advanced Warfare Gamepack for Titan One features, among all others MODs you are used to, the Tac 19 Jitter, Double Jump and Hair-Trigger. Tac 19 Jitter is very similar to the Call of Duty original Jitter glitch. The Jitter makes the weapon shoot faster by canceling the animation. Equip the Jac 19 weapon and the Gung-Ho perk. When you press the fire button your character will immediately double jump and begin firing. This action is not performed if the scope (ADS) is in use. Performs the same action as double jump shot but is only activated when you FULLY press the fire button. Automatically scope (ADS) when firing. Quick Scope is widely used in Call of Duty games. The idea behind quick scope is to use a sniper rifle, scope IN and fire the shot as the gun scopes in. Perfecting the aiming and timing will allow you to become a one-man commando with your sniper rifle. Same as 1 but the Quick Scope is activated when the scope (ADS) button is FULLY pressed in less than 300 ms. Same as 1 but the Quick Scope is activated every time the scope (ADS) button is pressed. In this mode is not possible zooming on enemies. The Call of Duty Advanced Warfare applies a "dead-zone" in the trigger buttons, which means the trigger (both for shoot or ADS) should be pressed almost half way down to be registered by the game. With Hair-Trigger MOD you can ensure your weapon will fire or ADS as soon you touch the correspondent trigger. All Quick Scope modes are adjustable.